The Research Society of International Law (RSIL) held a seminar on the subject of ‘Lawfare as a Tool of Strategic Coercion: A Case Study of Mumbai’ in Islamabad. The event was attended by General Zubair Mahmood Hayat, Chairman Joint Chiefs of Staff Committee as Chief Guest. Ahmer Bilal Soofi, President, RSIL delivered the key note speech and was part of the panel which included as discussants Syed Kamal Shah, Former Interior Secretary, Ambassador (r) Afrasiab Mehdi Hashmi Qureshi, and Khalid Banuri, Former DG Arms Control and Disarmament Affairs, SPD. The event was opened by Oves Anwar, Director RSIL discussing the organization’s work towards improving Pakistan’s capacity in a wide range of areas. He discussed the importance of enhancing Pakistan’s international law capabilities to ensure Pakistan’s rightful place amongst the comity of nations. RSIL President Ahmer Bilal Soofi discussed the case study of the 2008 Mumbai Attacks and the legal avenues pursued by India in its aftermath. He highlighted how in the era of globalization and emergence of international law, lawfare has begun to be weaponized by States and as a nation Pakistan must also be equipped to avert such strategies being employed against it. Mr. Soofi gave several examples of the use of lawfare in modern international relations. Subsequent to a thorough review of the legal documents concerning the Ajmal Kasab case and the Zakiur Rehman Lakhvi case, Mr. Soofi discussed the need for a counter-narrative to be developed by Pakistan on the subject based on a cogent legal analysis of the situation. This would be based on assessing why India had withheld its cooperation leading to critical problems in the prosecution in Pakistan of those allegedly involved in the Mumbai Attacks. Prime amongst these was the ‘evidence’ which India had furnished which would in fact be inadmissible even in its own courts as it did not conform to the basic laws of evidence in either country. Speaking a day after Kashmir Day, Mr. Soofi noted how the Indian Government had also employed advanced lawfare tactics to delegitimize the genuine freedom struggle of the Kashmiri people and deny them their right to self-determination. While suggesting a future course of action, Mr. Soofi recommended enhancing the Mutual Legal Assistance Framework between the two countries, improving the capacity of concerned stakeholders, and highlighting the sacrifices and progress Pakistan has made in the field of counter-terrorism. In conclusion he stated that Pakistan and India would have to resolve these issues to improve relations in line with Prime Minister Imran Khan’s vision for peace in the region. Mr. Soofi’s talk was followed by a panel discussion wherein Ambassador (r) Afrasiab Mehdi Hashmi Qureshi appreciated the efforts by RSIL and noted that immediately after the Mumbai Attacks, India commenced anti-Pakistan propaganda at international fora and also briefed Ambassadors from European, African, Middle Eastern and other States. He further noted that several Indian diplomats had advised their governments to undertake military strikes against Pakistan after the Mumbai attacks. Mr. Kamal Shah noted that there was a critical need to highlight Indian abuses of human rights in the region. He said that India’s insistence on only discussing terrorism at bilateral meetings only served to hide its own human rights atrocities in the region. He noted Pakistan must enhance its capabilities to effectively highlight such atrocities and bring India to account. 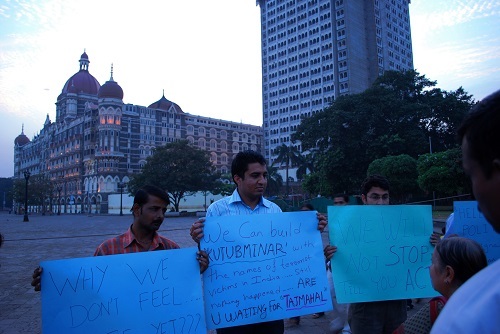 In relation to the Mumbai trials, he added that Ajmal Kasab was issued a domicile from UP in India. After Pakistan requested India for inquiring upon the matter, the Indians merely stated it was fake without further elaboration. He concluded by stating that the Indian stance lacks international credibility and should be exposed. Former Director General of Arms Control and Disarmament Affairs at the Strategic Planning Division Khalid Banuri lauded the efforts of the Research Society of International Law in reaching out to the various segments of society and for undertaking endeavours for the betterment of Pakistan. He noted as to how the legal community should support diplomats, politicians and members of the armed forces to devise the most cogent means to promote Pakistani interests. He added that consistency must be brought in the strategies which are deployed to tackle the challenges and perils faced by the country. General Zubair Mahmood Hayat, Chairman Joint Chief of Staff Committee, delivered the closing remarks wherein he urged that legislative issues ought to be considered on both a national and international level. He stated that Lawfare is a component of a State’s soft power. There was a paradigm shift in international relations and policies after the 9/11 attacks. He also noted that the international legal framework continues to be the thread that unites the international community, however, the very same laws have the potential of being utilized for ulterior motives. He continued his address by stating that the Quaid-e-Azam Muhammad Ali Jinnah laid the groundwork of Pakistan on law. In relation to the issues of Kashmir, Siachen and Sir Creek, he stated that legal instruments existed on these issues but were subject to manipulation and misinterpretation by India. He noted that law had been weaponized so as to coerce other States in a way that accrues benefit to the State which wields this doctrine. The fundamental Human Rights have a direct co-relation with International Law. To that effect, he added that laws are made for the betterment of the peoples, however in Indian Held Kashmir there is a continuous denial of such rights. The right to Self-Determination cannot and must never be coalesced with terrorism. 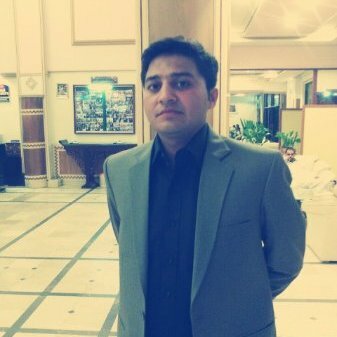 Muhammad Shoaib Khan is a journalist from Pakistan and has worked with NEO TV, Independent News, PBC and The Nation.